Exchange by references and banners! Here photo of large fires - look! 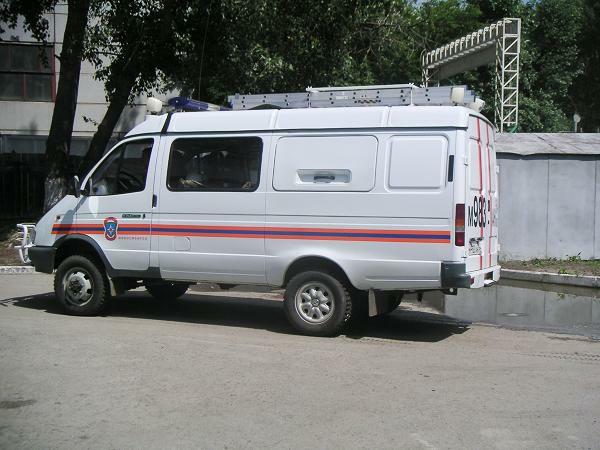 Today Russian Fire service of the PCh 9 Novosibirsk guards the Kirovskiy district round-the-clock. Firemen of Our brigade are on duty 1 days, and 3 days have rest. The firemen collect a pay-envelope from 300 - 500 dollars in month. On the average (annual statistics), after 1 duty period (24-hrs) the fire change accomplishes 5 departures on fires, failures, burning of garbage, food and false bells! Our firestation is built in 1947, as subdivision for guard of the plant him.Efremova (the mashinbuilding). But soon on she has allotted a task guard from fire whole Kirovskogo borough Novosibirsk (with than hitherto we successfully manage) and she became to be identified SVPCH-9 Work in that time was plenty of, after all preventive maintenance at postwar years specifically did not concern with, restored the country. But dwelling fund of the region consisted of buildings is subject to the fire - i.e. after "good" fire remained only wall. The Group nearly whole consisted of former veteran of Great Patriotic War, order nearly military... But went the years and peoples was updated. Presently in our part works 42 persons on more then 20 job titles. The Friendly group PCH-9 here is already several years contract occupies the first places on total of the year between fireman by subdivisions Novosibirsk and area. L/s fireman of a part raises its educational level (is trained in special and civil HIGH SCHOOL). Vobschem subdivision looks, either as must look the leading subdivision ON Russia! Get acquainted with us on our site. Welcome to PCH-9! We much argue on how to take to pull through from fire, but our ancestor and present-day oldsters long ago are aware of wonder-working safe power of the icon "Neopalimaya Cupina" You Want believe - want no, but events of the prevention 100% of the fire I sure from tale eyewitness already pieces 100 and all due to this icon...Probably, it is necessary simply to believe and certainly keep rules of fire safety!! !